Thanks to a massive reduction in cost of phones, Dual and Quad processors have now become common in a lot of mobile devices. But once you do buy them you’ll notice that they are seldom used, and most of the processing power is just sitting there waiting. So what can you do to utilize them to feel smug and virtuous at the same time? Well as the title says donate them to science, and I do mean that literally, and not just any science but the cutting edge science like Pulsar research, HIV drug research etc. How? It’s simple, by donating your excess computing power to help speed up the computation intensive process that is required for these researches. 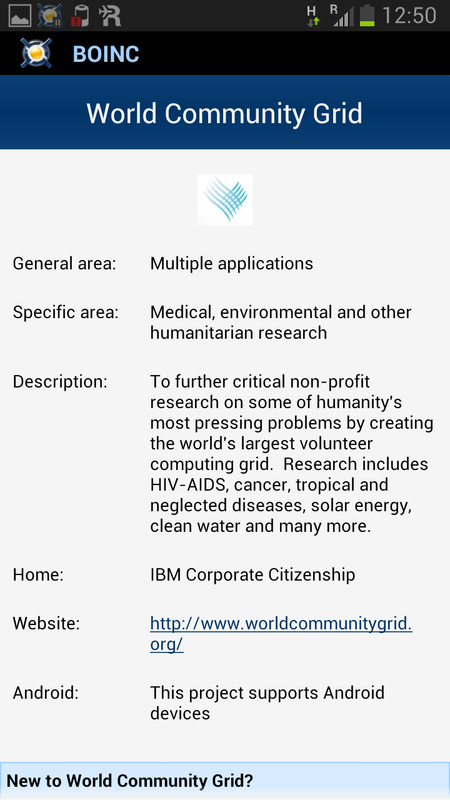 To get in to the science movement just download and install BOINC (Berkeley Open Infrastructure for Network Computing) from the play store, and then add the projects that you would like your device to contribute to the search for new stars or help discover drugs and fight AIDS and more. 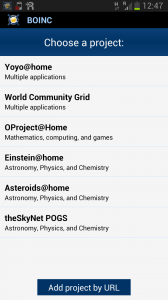 The BOINC app has been developed by University of California, Berkeley which provides the platform for running the aforementioned projects. The app that has recently released for android platform (it supports Android 2.3 +) was initially created to use the idle computational power of desktop systems way back in 2002, now BOINC boasts 240,759 active volunteers with 495,067 computers totalling a 24-hour average of 6.908 PetaFLOPS. 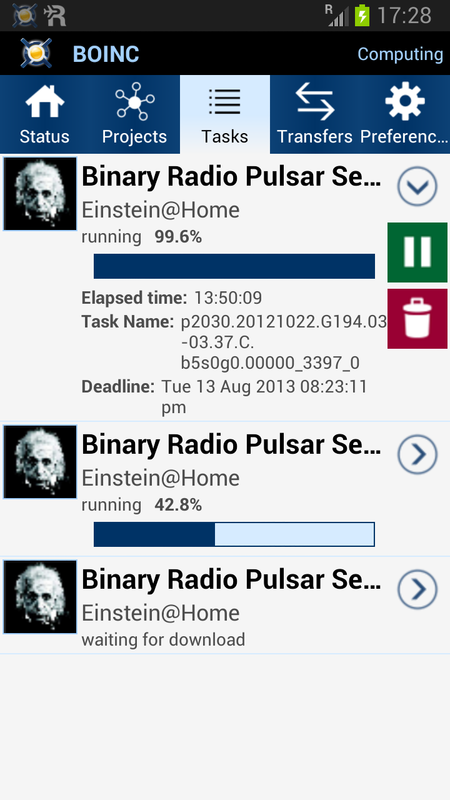 The app supports devices having android 2.3 and above. The app also is by default set to run only when the device is plugged in and is charged above 90% and will transfer data only when the device is connected to WiFi. This of course can be changed from the preferences. The project Einstein@Home driven by the Max Planck Institute for Gravitational Physics uses your computation power to search for weak signals from neutron stars (Pulsars) using data obtained from telescopes and satellites. The volunteer project has already led to the discovery of more than 3 dozen new neutron stars. You can read more here and a general description of other projects here. 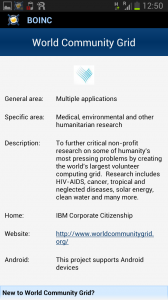 In short you can now contribute directly to science and the betterment of humanity just by running an app in your phone.